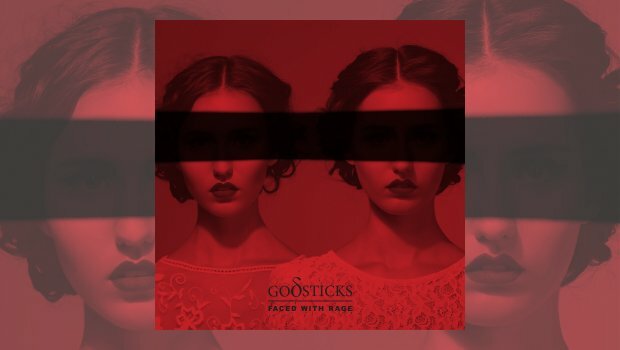 Godsticks return with their fourth album, Faced With Rage. Formed in Cardiff during 2008, after a debut EP they released their first album, Spiral Vendetta, in 2010. I have followed Godsticks since their tentative and rather nervous set at the Summer’s End festival in 2009 through to their, now confident, polished and accomplished performances as support for The Pineapple Thief. Their sound has evolved throughout the four albums, the first built mostly around Darran Charles’ unique vocal style, but the music has now developed around his voice to make a more complete sound. 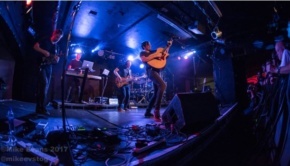 Couple this with the growing confidence of Darran and bassist Dan Nelson plus the addition of second guitarist Gavin Bushell and drummer Tom Price and they have grown into a formidable unit. The aggressive feel of the last album, Emergence, continues on Faced With Rage which explores the theme of people dealing with emotional conflict within different scenarios. 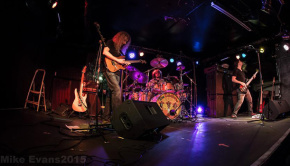 Darran states that he feels this is a “more progressive album”, while this may be true it certainly has retained the heavy rock, sometimes metal feel, all wrapped up with lashings of melody and great song writing. From the opening notes of Guilty the intent is clear; edgy and powerful with Darran’s vocals wrapping around the melody and at times creating it. The rhythm section drive things along allowing Darran and Gavin’s sharp guitar lines to shine through, the song grabbing your attention from the off. 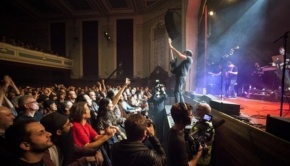 Godsticks have always gone for the more concise length of songs, mostly in the five to six minute range, although they stretch themselves on Everdrive delivering the longest song at eight minutes, and it’s excellently paced, ebbing and flowing to hold the attention and going to show why Godsticks’ music is different. On Hard to Face, Darran’s vocals have an almost yearning feel along with some great drumming which delivers odd timings to help create a song with a somewhat unsettling nature. There is a fine guitar solo, never overstated or overtly flashy but just enough to enhance the feel of the song. Angry Concern begins with some excellent bass lines from Dan before the guitar crashes in and takes over, the song maintains an edge that threatens to break into prog metal territory but this is drawn back by the melodies within the song. We Are Leaving projects another side of the band, it’s a beautiful track taken at a slower pace, demonstrating Godsticks’ slightly softer side and helping to expose how good Darran is at writing engaging songs that are full of melody. About three quarters of the way through the song the guitar changes the attack to create a more upbeat feel, the solo towards the end being understated but excellent. 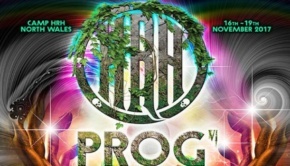 This collection of songs do have a heavy rock, metal and almost industrial feel at times, but this is definitely not a prog metal album, it is so much more as Darran colours his songs with melody and addictive hooks. There is light and shade throughout. All four of the band’s members have found a voice on this release, becoming a sharp unit which has delivered an intriguing and interesting album. The music is the perfect foil for the stories contained in the lyrics, on first listen it appears uncompromising as the heavy feel of the music grips you, but as the album unfolds you hear many more facets and it becomes clear that Godsticks are different in their approach. This album is a natural progression from Emergence and could be their finest to date, which begs the question, when will they get the recognition they deserve? If you have not yet heard one of Wales’ finest bands, do so at once, the album will be available on the 13th October. Don’t forget now!